For almost twenty years a Libra cat named Merlin has graced my home. No matter where we lived, he improved it in every way. 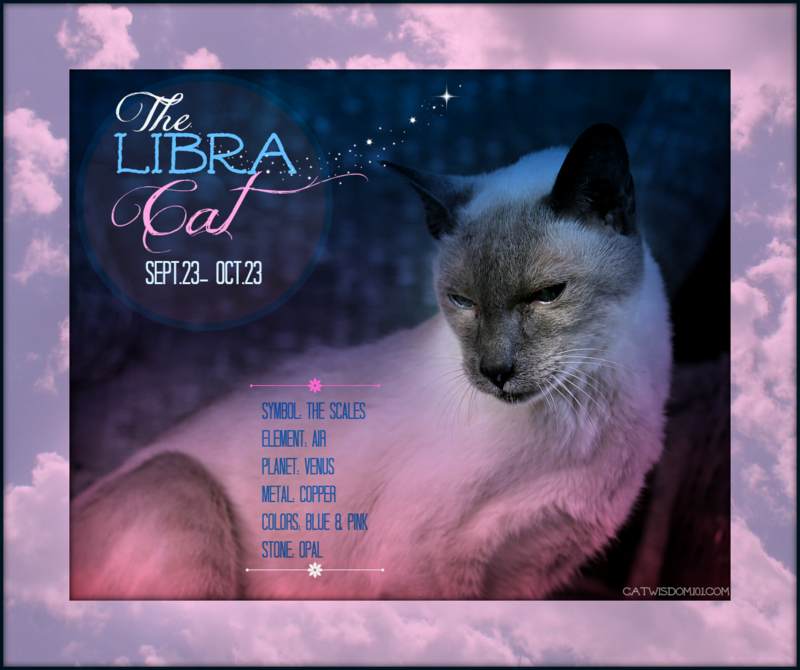 In honor of Merlin Week to celebrate his 2Oth birthday we share the astrological character of the Libra cat. Born between September 23 and October 23 these refined and elegant cats are the charmers of the zodiac. All cats are beautiful but Libra cats are ruled by Venus the planet of love, beauty and harmony, bestows extra star power. They know they’re beautiful and carry themselves with a diva grace. Vanity is their middle name. They don’t expect monogrammed cat collars and purrsonalized cat food bowls or beds but they are the ideal customer for the luxury pet market. No matter what the decor or lifestyle, The discerning Libra cat will make anywhere they perch their throne and that may include your favorite armchair or the primo spot on your bed. The bed is ideally dressed in high thread count linen, duck down duvets or satin coverlets. Toss of few silk or velvet pillows and these lovers of calm, beauty and luxury will purr. (Merlin loves his cashmere pillow). If your budget is less than royal, the Libra cat will make do with a humble cardboard box, but do try your best to please them. Libra felines can be manipulative, pawing ever so softly on your cheek to wake you up with “the look” no one can resist. They don’t need to push or beg (that’s beneath them). It’s as if they can read your mind and you don’t mind spoiling them. Fresh spring water? A little more fishy flakes? Oh alright, just a little more. They’ll reward you with a melodious purr, meow and head bonk. Don’t forget to say how beautiful they are while you stroke their fur. Not just beautiful, but that they are the most beautiful cat in the world. Merlin may be a rumpled, old man but he still revels in being told he’s the most handsome boy in the world. They get a bad rap for being lazy. They aren’t. They just prefer calmly lounging about looking divine and leave the nervous pacing to Virgos and excitable antics to Geminis and Aries. Lovers of peace and cooperation, the Libra cat is naturally gregarious. Merlin has always been the life of the party and like all Libran cats, enjoys both human and feline companions. They are not shrinking violets and less likely to hide than other cats when company comes over. They don’t mind being petted but make sure your hands are clean and don’t overwhelm their superior sense of smell with heavy perfumes. They are fastidious about grooming which you can help with regular brushing and claw trimming. They make the ideal show cat. Libra is all about balance but can be indecisive. They can be fussy about their food. The worst thing you can do is try one variety of food after another trying to please them. This is the classic cat who can’t decide between going out or staying in and when they go out, will want to come back inside. They’re sensitive souls who like order and routine with no extremes. Please don’t blast heavy metal or stay out too late. If you’re feeling under the weather, these sympathetic kitties will purr and coddle until you feel better. And you’ll feel better by simply having the good fortune of being owned a Libra cat. I am extremely inspired with your writing talents as smartly as with the layout on your blog. Is this a paid theme or did you modify it yourself? Anyway keep up the nice high quality writing, it is rare to see a nice weblog like this one today.. The mom is a Libra and this sounds a lot like her. Some of Merlin’s attributes describe Moosey. Though we have no idea when he was born, since we adopted him as an adult! Howdy Merlin! My Sister Dolly must be a Libra. Merlin suwe is lookin’ handsum. Our dear Merlin fits Libra to a tee fur sure!!!! We are so enjoying the birthday celebrations for you Merlin. We luvs you! dood….ewe noe ewe rool de roost N ya got it goin on….N lazee…thatz a werd uz catz invented for peepulz….. In our home has two libra cats and a little librian human ! My Kallie is a libra cat and this description fits her to a T! Hmmm… No Libra cats at my house but I do have a Libra peep on my paws. Just WAIT ’til I tell her how she’s manipulative. She’s gonna love that, for sure! Okay, I’m gonna love tellin’ her that. Same thing, really. Ha, lucky you Nissy. Please report back. We didn’t know all of that about Libras. Merlin is a great example of his sign! Wish we had a libra in our furmily, we need some good fortune… can you stay with me for a while Merlin? Merlin would love to. Can you send the private jet? Actually Merlin always loved dogs too! Merlin sounds like a Libra right down to his fur! 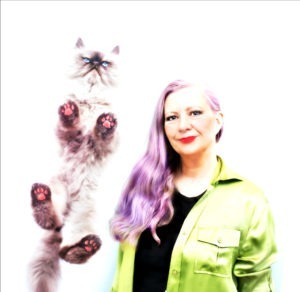 My Mom is also a Libra….and from one Libra to another she wishes Merlin the most ELEGANT of birthdays this week! Sammy, you’re lucky to live with your lovely Libra mom! Libra cats sound really cool! I wish I lived with one.